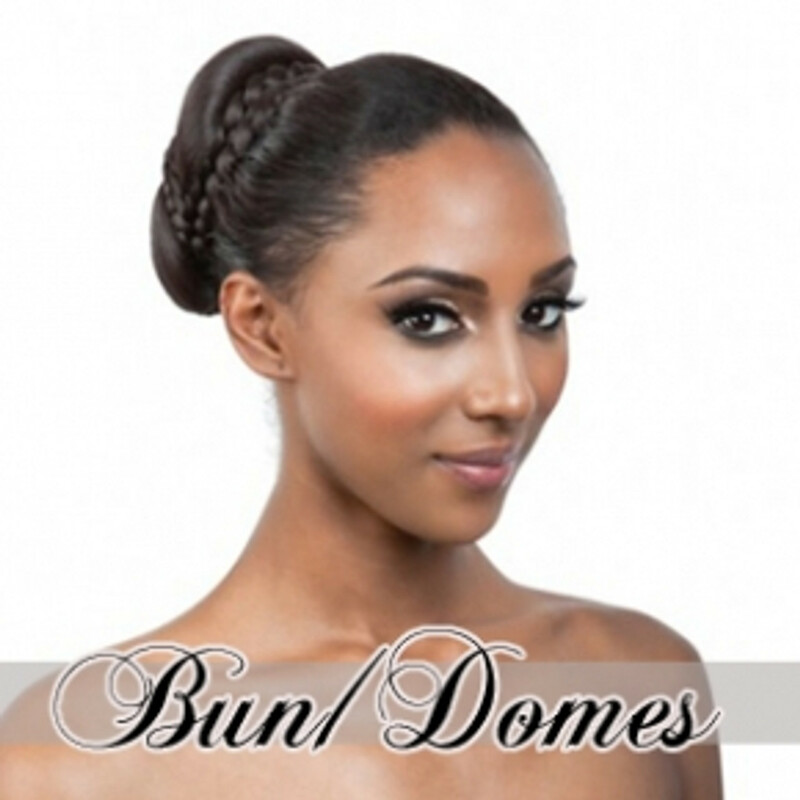 Make that special, elegant statement with one of the our hair buns and domes available here at Luxe Beauty Supply. We carry a wide selection including the popular Isis Yellowtail hair buns, the Coral Bun, Onyx Bun Braid and Princess Bun for African American women. Synthetic Hair Buns are a stylish yet inexpensive way of adding a prestigious, classic look to your hair style. The unique Rachael Welch synthetic dome hair bun featured here is a softly wrapped, braided chignon that utilizes two combs to attach to a knot or ponytail and has a built-in cup to contain your own hair securely in place. All of our synthetic hair buns are available in a variety of salon inspired shades. Wrapped with a soft braid, this elegant chignon includes a two comb system that securely attaches to a ponytail or knot. A roomy 4 ½” x 3 ½” cup easily conceals your own hair.